One year I planted a little pot of asters in my garden. They grew into a large bush, which bloomed profusely. The next year they came back from seeds. They escaped the flower bed and began growing in the driveway and the pasture and even in the fence row across the road. My husband considered them weeds and set out to eradicate them. I was cheering for the asters. 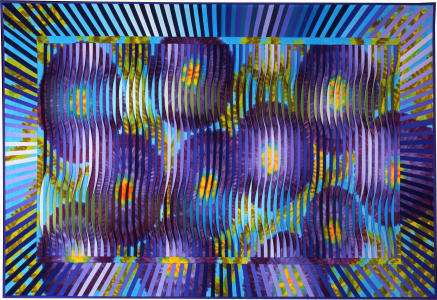 This is one of a series of quilts in which three dimensional, constructed tucks are incorporated into a patterned background. The background fabric was painted with fiber reactive dyes in large flower and leaf patterns to represent the asters. Each of the 1/2" "tucks" was constructed from two different fabrics. 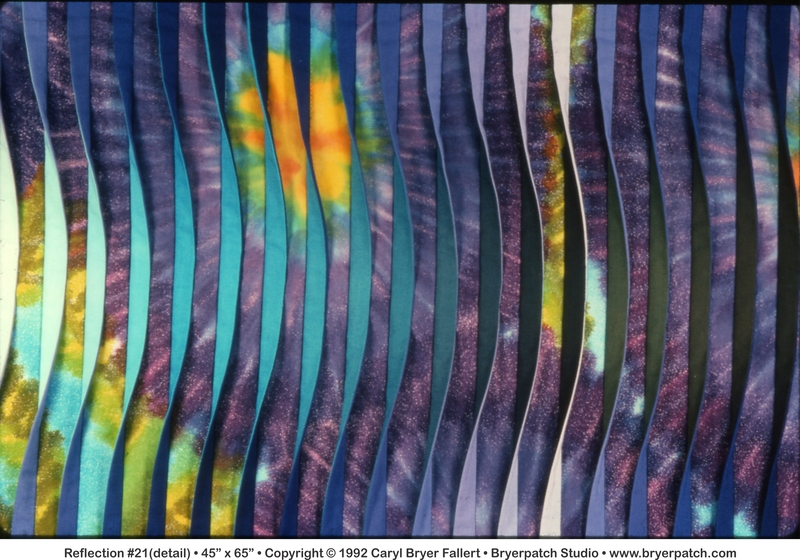 The right sides of the tucks were made from fabrics dyed in a light to dark gradation of blue/violet. The left sides of the tucks are light to dark gradations of both green and turquoise. 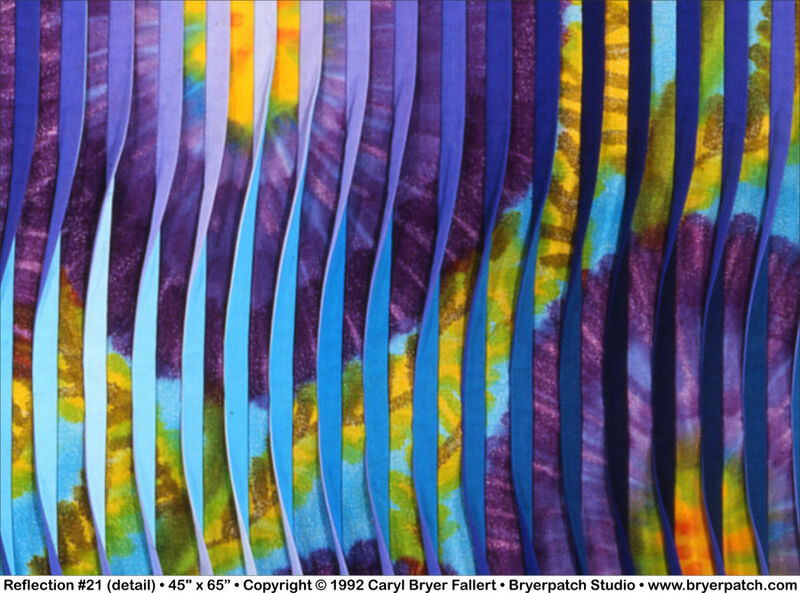 The use of light to dark gradations, and the twisting of the tucks from side to side, create the illusion of movement and light across the surface of the quilt. 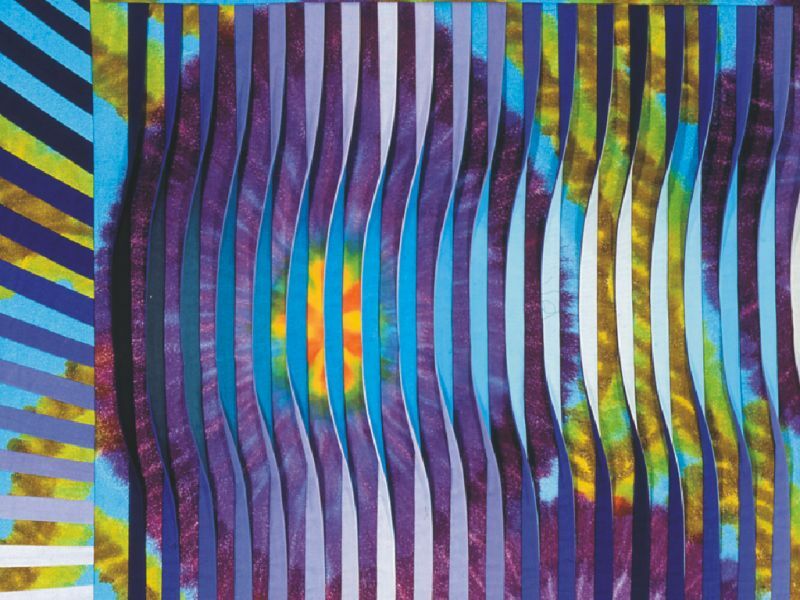 Because different colors are used on the right and left sides of the three dimensional tucks, the appearance of the quilt can be changed dramatically by changing your point of view. I like to call the quilts in this series "viewer participation art." 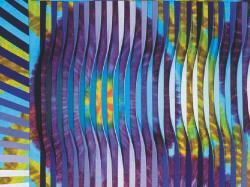 A radiating, string pieced border surrounds the three dimensional center panel. 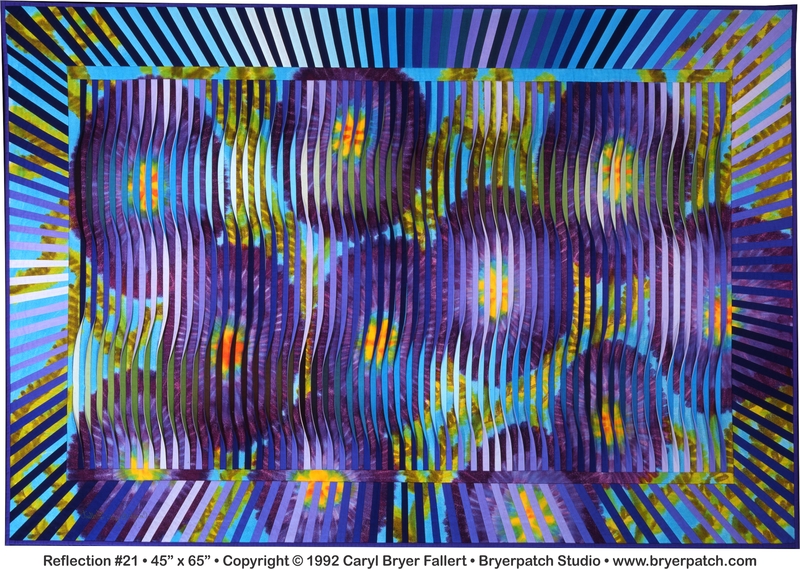 The border extends the background of purple flower forms, while drawing the eye back into the center. 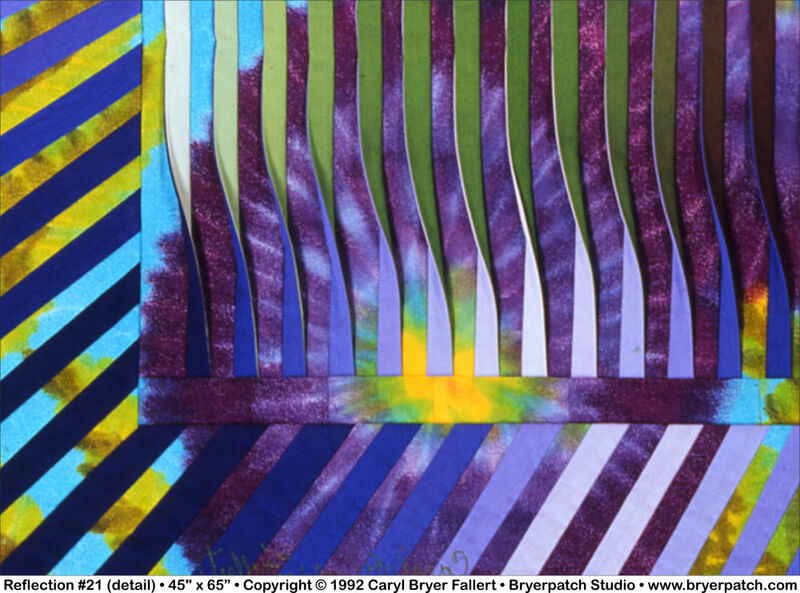 NEW WAVE QUILTS #3: INTERNATIONAL COLLECTION, 1993, (Invitational) March, Brea CA.